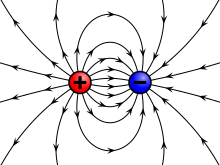 Up until about 1745, the main explanation for electrical attraction and repulsion was the idea that electrified bodies gave off an effluvium. Benjamin Franklin started electrical experiments in late 1746, and by 1750 had developed a one-fluid theory of electricity, based on an experiment that showed that a rubbed glass received the same, but opposite, charge strength as the cloth used to rub the glass. 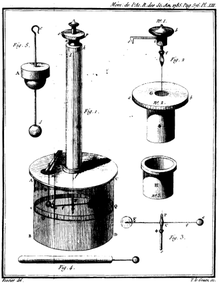 Franklin imagined electricity as being a type of invisible fluid present in all matter; for example, he believed that it was the glass in a Leyden jar that held the accumulated charge. He posited that rubbing insulating surfaces together caused this fluid to change location, and that a flow of this fluid constitutes an electric current. 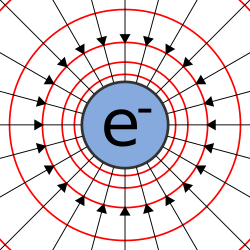 He also posited that when matter contained too little of the fluid it was negatively charged, and when it had an excess it was positively charged. 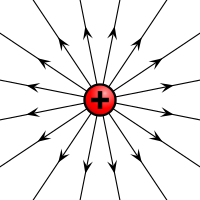 For a reason that was not recorded, he identified the term positive with vitreous electricity and negative with resinous electricity. William Watson independently arrived at the same explanation at about the same time (1746). After Franklin's work, effluvia-based explanations were rarely put forward.